Will 2011 be the year of European Economic Collapse? 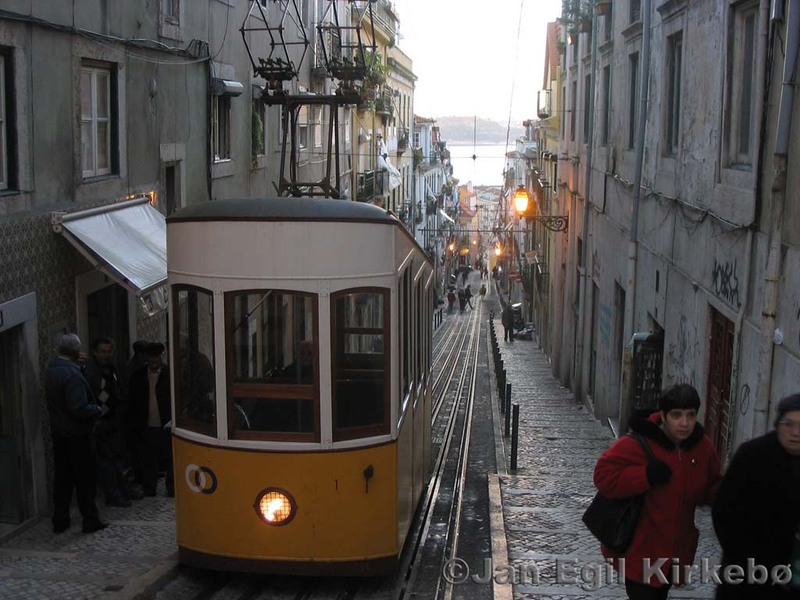 Will Portugal need to catch a Baliout tram to escape economic and financial collapse? It is a new year and we have an exciting year in front of us, yet already there are questions being asked about the Portuguese economy and its ability to pay its debts. If 2008/09 were the years for Banks to fail and need bailing out, then surely 2010 and 2011 are the years of European sovereign states facing economic and financial collapse. In 2010 we saw the collapse of three small economies in Europe, Greece, Iceland, and right at the end of the year…Ireland. We can separate Iceland off from Greece and Ireland for the moment, as they have decided to default on their liabilities and effectively “flipped the bird” at the Dutch and British Governments who were owed billions of dollars. Iceland has decided to revert to being a windswept island in the middle of nowhere, with a small population. Greece and Ireland are a different kettle of fish. I discussed the emerging problem of Greece and the likelihood it would need to be bailed out by the EU at the end of April 2010 in “Is this the beginning of the End for the Euro?” (http://wp.me/pS6DN-1j), and then again the potential consequences of the Greek bailout in early May “Will Greece lead the world into a double dip recession” (http://wp.me/pS6DN-21). In this article I described the likely scenario of a string of economies across the EU and Euro zone failing. At the time I didn’t mention the likelihood of Ireland facing financial collapse, but I did discuss the potential failure of Portugal, Spain and Italy. 2011 is shaping as a year when we will see whether the Eurozone and the EU have the resilience to withstand the collapse or potential collapse of these economies. We are only into the second week of 2011 and there are already concerns about the financial and economic viability of Portugal to service its national debt. There have also been some rumblings about the ability for Spain and Belgium to do the same. The big question is can the EU sustain itself financially, and politically if it is required to bailout these countries as well? There is a bit of a difference here between the Greek and Irish situation, with Portugal and Spain. Greece and Ireland are small economies in Europe, and their debt although picked up by many of the European banks; it is still a relatively small amount (in national debt terms). The debt sold through government bonds, were owned by a number of banks throughout Europe (both government banks and private banks). This debt has been spread wide and thin. The problem with Portugal and Spain is that much of the Portuguese debt is owned by Spanish Government and Private Banks, so if Portugal has an economic collapse then much of the debt burden will fall upon Spain. This is why there have been calls for Portugal to request an EU-IMF bailout, and manage the potential losses to other European banks. Already the short term Bond price has risen to above 7% which is the threshold that precipitated Greece and Ireland to request and accept bailout packages. If you think about it in terms of your house mortgage then it is easy to understand why Portugal will be under pressure to seek a bailout. Government’s sell bonds to banks in order to raise money. The bond rate is the government equivalent of the home loan interest rate, so as it goes higher, the more you have to pay back each week, and the harder it is to pay. At some point you realize that you don’t have enough income to repay the interest, and so you have to sell the house….or in the case of a country…restructure the economy and accept a bailout or default on you loans. The problem for the EU is that if Portugal goes down, the next country that will be in the market sights will be Spain. 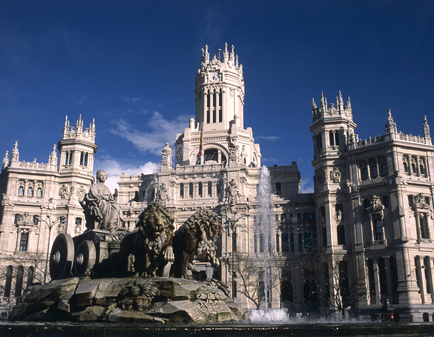 Spain has one of the largest economies in Europe, and their collapse would be catastrophic for the EU and Eurozone survival. So 2011 may well be the year of further economic bailout packages and sovereign debt defaults. If that is the case then we may yet see the end or a restructuring of the Eurozone. In any case 2011 will be an exciting year, and it wouldn’t surprise me if we see Portugal, and at least one other European country accepting a bailout. Will Greece lead the world into a double dip recession? The financial and political challenges in Europe just keep getting bigger as far as the financial markets are concerned. Greece has finally had a financing deal put to it which amounts to €130 Billion Euro, with most of that coming from Germany and France. I wrote in an article last week “Is this the beginning of the End for the Euro?” ( http://wp.me/pS6DN-1j), that this financial crisis and possible default by Greece could lead ultimately to a breakdown of the Eurozone. On the evidence from the streets in Europe and the financial markets around the world, this concern still exists. Last week Portugal and then Spain had their credit ratings lowered, and this means that the cost of borrowings required by these countries to service public debt increases. The European Central bank has also had to change a ruling allowing it to accept Greek Bonds that were rated as Junk status, which means it was likely a return of only 50% was possible on these loans/bonds. The ECB had to do this as Greek bonds were held by many of the largest banks in Europe, and not to accept them could have caused more bank collapses. Of course now it means the ECB holds Greek bonds that are nearly worthless. But what effect could this all have on the world economy? In 2008 when Lehmann Brothers Investment bank collapsed, it led to a loss in confidence in the financial markets, and many banks around the world but particularly in North America and Europe, either collapsed or required large bailouts from governments. Most economies with a few exceptions such as Australia went into recession, and all economies required government supported economic stimulation packages to prevent a global depression. Banks stopped lending to each other, and the cost of finance increased, which placed greater stress on financial markets, and lead to measures such as governments guaranteeing bank deposits, and interest rates slashed by central banks in order to stimulate spending. All of this has led to governments around the world racking up public debt, and this is where we are at now. Greece has a debt to GDP ratio of over 13%, most other economies in Europe have similar or higher debt ratios. The Greek economic bailout of €130 billion, will only account for about a third of the total Greek debt, and will require cutting of Greek expenditure to a point where in 2014 the debt to GDP ratio needs to be lower than 3%. This means public spending is slashed, no more stimulus, wage freezes or cuts in the public sector, and pensions will most likely be reduced. In Greece people have taken to the streets and are protesting and rioting…they are not happy. In Germany, public opinion is very much against the German people funding this bailout package for Greece, the results of regional elections in the coming week will determine whether it will have a real political impact in Germany. The reactions so far amongst the citizenry in Germany will probably ensure the political reality is that any future financial bailout will be small or nonexistent for other economies on the brink of collapse in the Eurozone. Portugal and Spain in particular must be concerned…. The experience with Lehmann Brothers in 2008 was that as soon as one organisation collapsed the market looked for the next target and on and on, hopefully the financial markets will not see Greece as the first in a series of economies to collapse and start chasing down Portugal, Spain and Italy. If they do, then there is unlikely to be a safety net ready to bail them out. Confidence in Europe is very low, with the Euro losing value against most other currencies, and there have also been reports that banks in Europe have stopped or slowed lending to each other again. Hopefully this is not a situation of history repeating itself, if so; we may be heading for another global recession…or a double dip recession. The question is, will governments have enough cash to stimulate their economies a second time in 24 months? The recent events unfolding across Europe and in particular the southern European states of Greece, Italy, Portugal and Spain have the makings of a cataclysmic financial event. Potentially greater in importance and impact as the subprime meltdown in the US that led to the “Global Financial Crisis” and from which the rest of the world is just starting to recover. The Greek tragedy as discussed by many commentators such as Dr Hussain Rammal (see link below), pointed to the necessity of the European Union to support the Greek economy and bail it out. The EU and IMF have indeed proposed a bailout plan and Greece has had to accept it. Why is this such an important an event? Normally when an independent country such as Greece goes into a financial crisis, it would be able to use monetary control levers such as devaluing its currency, thus giving impetus to its exports and encouraging foreign direct investment due to the cheap cost of labour, cost of manufacture etc. As Greece is in the Eurozone, and holds the euro as its monetary unit it is reliant upon the European Central Bank (ECB) to manage the currency. And the ECB is not going to devalue its currency when it has to manage the larger economies of Germany and France which are much stronger. This leaves Greece in an awkward position of trying to manage its financial recovery with one hand tied behind its back. This is exactly why the EU has had to step in and offer structural and financial assistance. Obviously, the money for this bailout has to come from somewhere and Germany and France as the largest economies in the Eurozone are the ones who ultimately are footing the bill for the Greek Bailout. A look at the German Newspapers and online media will show that this is clearly unpopular, and may become politically unpalatable for the German government. This is no real surprise. The biggest problem as I see it for the Eurozone is not just this bailout for Greece. It is more so the potential domino effect and precedent that it has set for equally struggling Eurozone economies in Portugal, Spain and Italy. Portugal has just today had its credit rating downgraded two places, ensuring its borrowing costs will be much greater, and there are concerns in the financial markets that Spain and Italy are in equally precarious positions. These three other southern European economies are all larger than the Greek economy and their debt is larger. Who is going to finance their bailout? Portugal is almost certainly going to need help, and Spain and Italy are just holding on. The cost to the EU will be substantial if they need to bailout these other economies. It could potentially bring about another global financial crash greater than that seen in 2008/2009., watch the financial markets in the coming weeks to see if a financial virus has been set loose, as it did after Subprime meltdown in 2008. What alternatives are available to the EU? Very few realistic alternatives are available. However, I would be prepared to predict that, the EU will have to offer a similar bailout package to Portugal in the coming months. In addition to this I expect to see a winding back of membership to the Eurozone, with Greece and Portugal the first to leave. A single monetary unit was a success in the boom days, but its weakness is too evident in a major downturn that we have seen in recent years. The Euro is not dead yet, but it is in hospital and on life support. When the money runs out, expect to see the Eurozone reduce to the central European economies of France, Germany, Austria and Italy. The rest will be left to rue the days they joined the Eurozone club, and return to independent currencies.